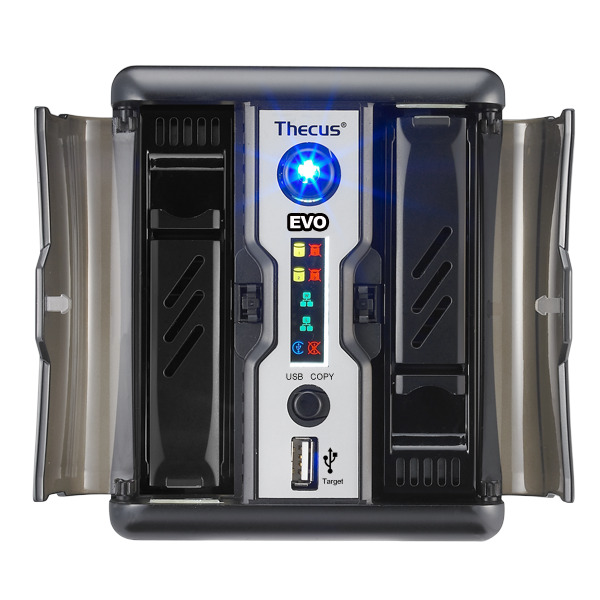 Building on the success of the popular N2200PLUS, Thecus is releasing a new 2-bay model aimed for home use. 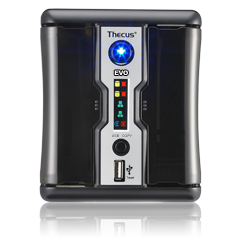 The N2200EVO provides users good speed and great value, with transfer rates over 50MB/s and a host of backup. 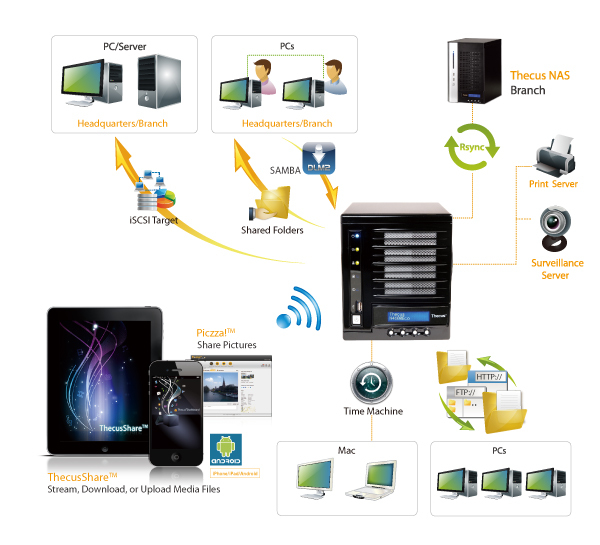 Thus, multimedia functions makes it easy to keep data safe while creating movies, music, and photo hub for your home. 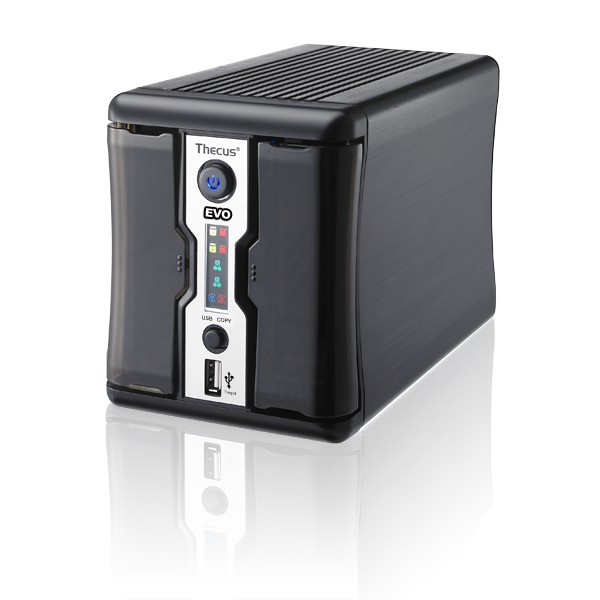 The N2200EVO's dual-core Cavium processor is powerful enough to handle large backups, web hosting, photo serving, multiple users, and even streaming HD video. 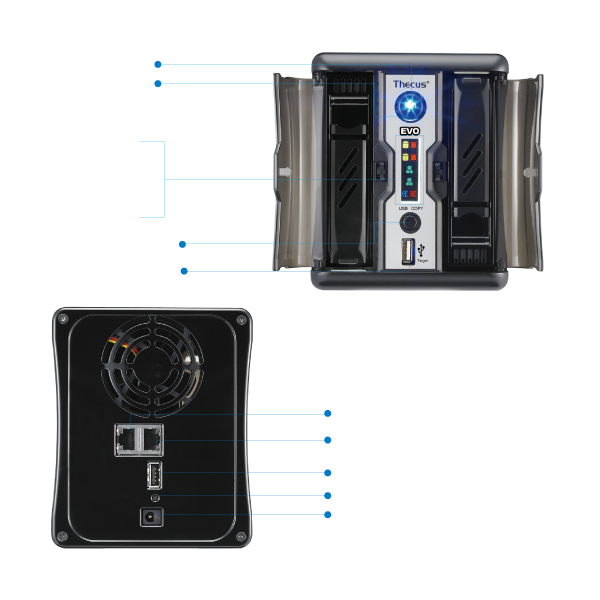 Although it is ideally suited for home use, with a maximum capacity of 6TB it can also easily fit into a small business environment to act as a central cloud storage or backup server among many other things. 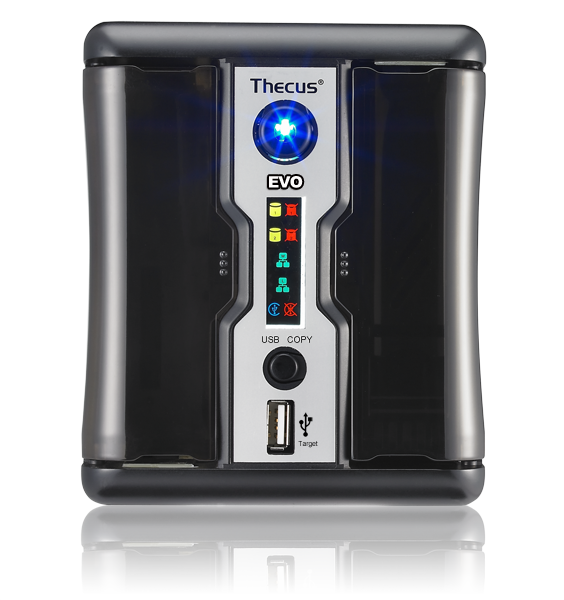 To cut down its carbon footprint as well as save on electric bills, the dual-core Cavium has extremely low power usage and with scheduled power on/off, the N2200EVO will only be on when it needs to be. 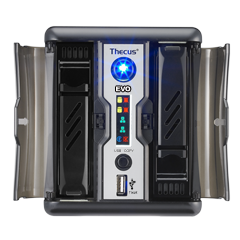 - Thecus Firmware includes support for all the newest advances: XFS, 3TB HDD, SATAIII HDD, an open source module system, and more. 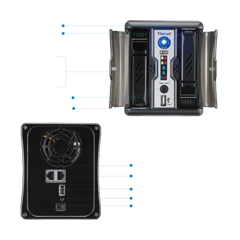 - The powerful Acronis Backup software makes backups easy and keeps your data safe! a. A download manager for BitTorrent, eMule and HTTP. You don't even need to switch on your computer! b. The brand new Piczza! photo server, which allows you to share your pictures with friends and family in a smart and easy-to-use interface. 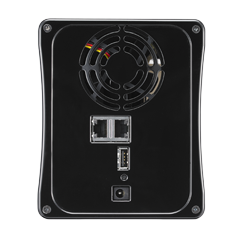 c. A Web Disk module to upload and download data simply and easily to and from your NAS.